I'm lucky to call Steamboat Springs, Colorado, my second home, as my parents have a home there. I enjoy spending both the winter and summer in the 'boat as it's filled with so many adventures and activities. 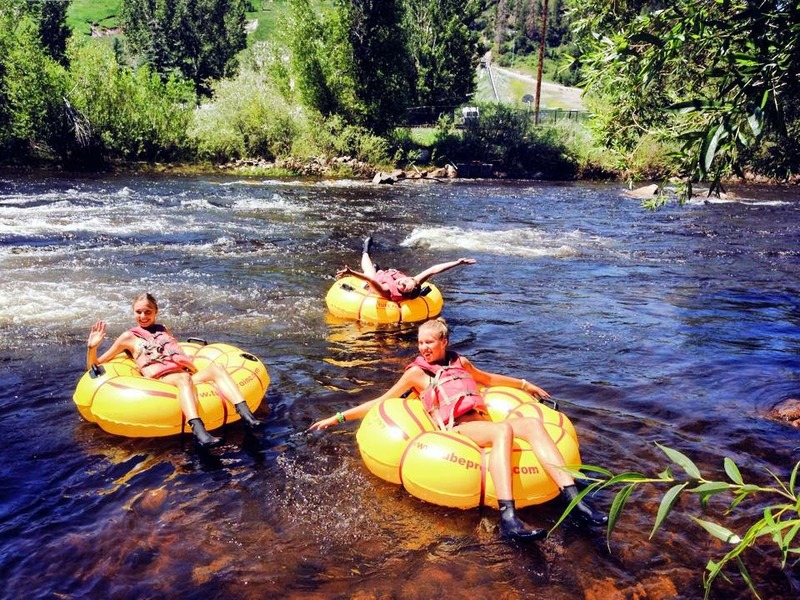 One of my favorite activities is tubing the Yampa River. This summer the river is flowing with so many great little rapids making it a perfect ride. In recent previous years the river flow was low and tubing was not an option. When good conditions exist, tubing on the Yampa is a local favorite, and must-do activity. Temperatures have been in the high 80s and it's a perfect way to cool off. Float for as long or as short as you’d like, and there’s plenty of riverside stops like parks, restaurants and bars along the way. I highly recommend heading to Backdoor Sports to get your tubing on! Hours of Operation: Tubing daily from 10:30am until 4:00pm Please note that we are required to be very strict about these times. Your experience will always be better if you can depart before noon, there are less crowds, less chance of afternoon thunder storms while on the river, and there is less chance of us being sold out. Backdoor Sports (and all tubing outfitters in Steamboat Springs) have a set number of tubes allocated for each particular day of the week. When we reach that quota we can no longer provide tubing service. Water level too low, water temp too high, amount of dissolved oxygen too low. 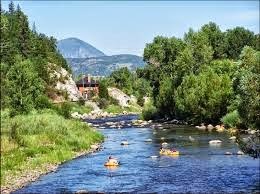 These are all conditions detrimental to the aquatic life and Backdoor Sports may be closed temporarily per our agreement with the City of Steamboat Springs and Colorado Department of Wildlife. Water level too high – Backdoor Sports has determined that water levels above 700 cubic feet per second are not safe for commercial tubing. Life jackets are ALWAYS recommended and at higher levels they are required. Age restrictions may be implicated dependent on flows. Backdoor Sports reserves the right to decline service to persons we deem physically or otherwise impaired. Shoes (not flip flops) are required. River shoes are available at Backdoor Sports for $3. Where do we start tubing and where do we finish? 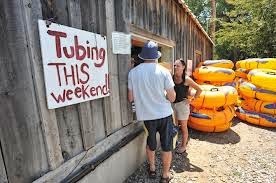 Tubing starts from the Backdoor Sports shop location at 841 Yampa Street, tubers will float approximately 2 miles down river to just past the James Brown Soul Center Of The Universe bridge where there is a large sign directing tubers to exit the river and a takeout. Tubers are then shuttled back to Backdoor Sports. The time of the tube ride varies dependent on the flow of the river, generally in peak tubing season the trip is just over an hour. How do we get back?Backdoor Sports is continuously running shuttles between the takeout and the shop. 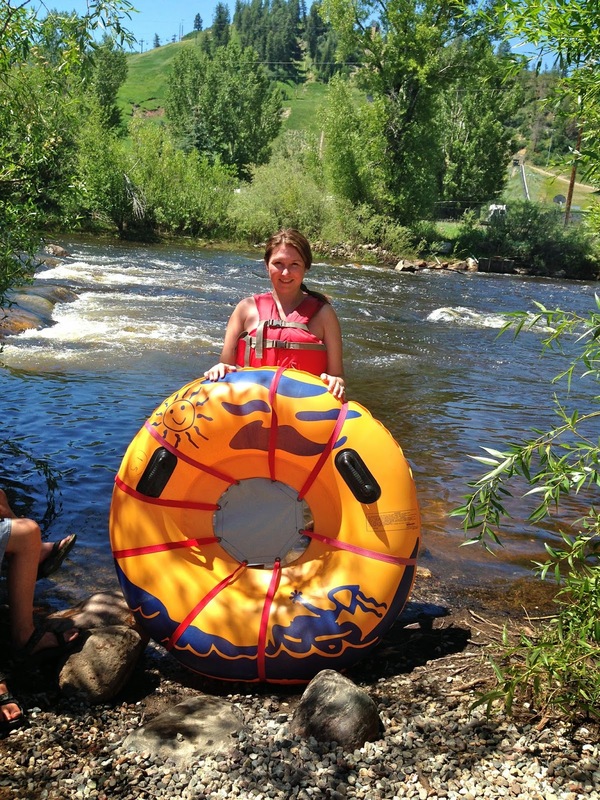 How far do we tube?The tube ride is approximately 2 miles down the Yampa River. Sorry, no flip-flops allowed, shoes/sandals with a heel strap or closed heel are required. Backdoor sports rents river shoes for 3$ should you need them. What didn’t I think of? If you are a wearer of sunglasses or prescription eyewear a safety strap is highly recommended for your glasses so as to prevent them from falling off the head and becoming lost in the river. Backdoor Sports does retail Croakies brand safety straps which are available at the tubing desk. Sunscreen is also generally a very good idea to wear, Backdoor Sports does retail sunscreen should you need to pick some up before departure.